EARN’s mission is to create prosperity for working families by helping them save and invest in their futures. Absent from our mission statement is a mandate on how families should approach saving. While we believe in building a habit of saving, we take a hands-off approach when it comes to where families should stash their money. Our 20,000+ SaverLife Savers know best how to ensure they’re habitually putting money away. This meant building a platform that allows for maximum flexibility: Savers can choose to save in a traditional savings account, a checking account, or even a PayPal account if that’s what works for them. 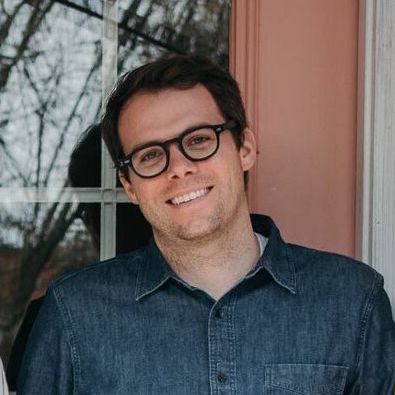 While the vast majority of SaverLife Savers link a savings account, a significant number of Savers choose checking or other types of accounts. With 20,000+ Savers using SaverLife, EARN wanted to understand if the account type they choose has any bearing on their savings habits. 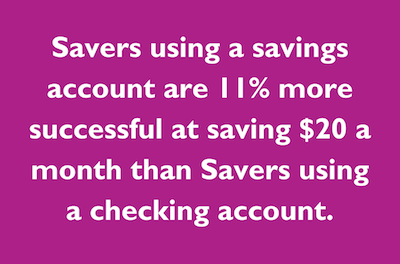 We found a strong correlation between use of a savings account and success in the SaverLife program. In this month’s Big Data on Small Savings report, we explore the outcomes of Savers who use different account types, potential reasons for choosing to save in one account over another, and why different accounts produce different outcomes. But we’re just scratching the surface. There are many possible reasons why some Savers are more successful than others, and in future editions we will continue exploring this question.